The Eastern Municipal Water District of Southern California was formed in 1950 to secure additional water for a lightly populated area of western Riverside County. In addition to water service, responsibilities now include sewage collection, water desalination and water reuse. 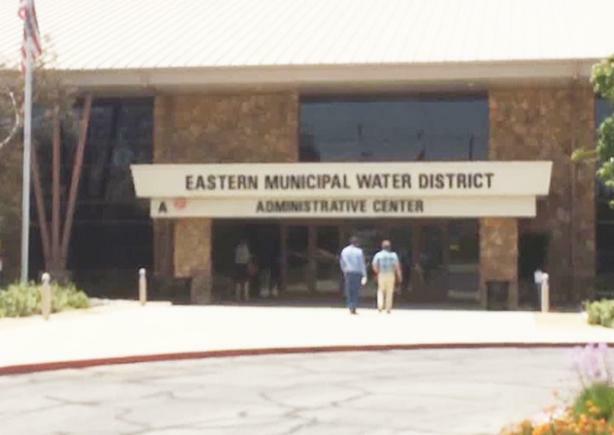 EMWD also sells to eight other water agencies, which in turn, serve their own customers. They are Elsinore Valley MWD, Western MWD of Riverside County, Lake Hemet MWD, City of Perris, City of Hemet, Nuevo Water Company, City of San Jacinto, and Rancho California Water District. CLEAN ENERGY USAGE. Energy from solar, fuels cells and microturbines. In 2016 the amount of clean, renewable energy that is produced accounted for about 55% of the total energy that is used at Eastern Municipal Water District. EMWD has a goal of becoming energy neutral by 2025. 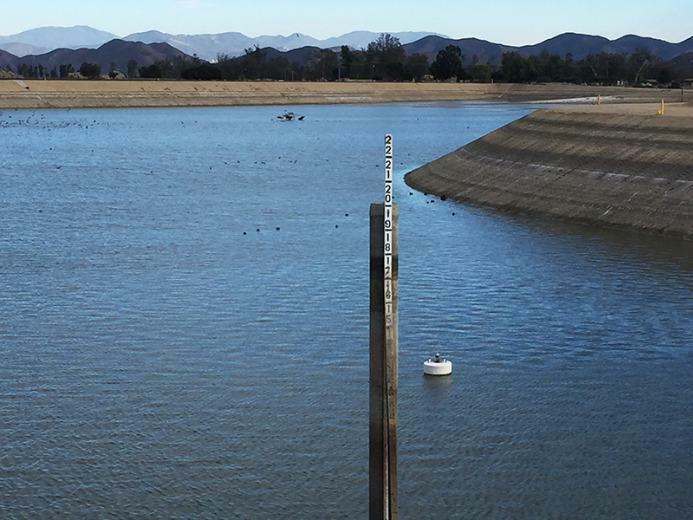 Eastern Municipal Water District is more than half way to meet that goal. SOLAR ENERGY. Solar energy production. Eastern Municipal Water District completed a solar power generation system in 2016. The five solar systems each produce 1 megawatt (1,000 kilowatts) of power to be used at the respective facilities and surrounding supporting infrastructure at EMWD. ENERGY FROM FUEL CELLS. Zero emission source. Eastern Municipal Water District has invested in digester gas-driven fuel cells that are installed at its Moreno Valley and Perris Valley regional water reclamation facilities. The fuel cells operate on renewable fuel and provide 25% to 40% of each facility’s energy needs while producing virtually zero emissions. ENERGY FROM MICROTURBINES. Power for plant and air conditioning. Microturbines are part of Eastern Municipal Water Districts energy portfolio. Nine 60-kw microturbines provide additional power generation. The exhaust from the microturbines also heats the water needed to power a 150-ton air conditioning unit. BIOSOLIDS RECOVERY OPPORTUNITY. Biosolids to fuel pellets. Eastern Municipal Water Districts exports about 56% of its biosolids outside of the county. EMWD is looking for alternative ways to deal with their biosolids, such as conversion to fuel pellets. GREASE RECOVERY OPPORTUNITY. Biodiesel Production from Grease. Eastern Municipal Water Districts has been investigating the production of biodiesel from restaurant grease trap pumping waste. Grease trap pumpings within Eastern Municipal Water Districts’ service area alone total more than 5 million gallons per year. The waste material has the potential to generate 125,000 gallons of biodiesel suitable for the District's fleet of diesel-powered vehicles. ECO CITY PARTICIPATION. Climate resilient water supply. Eastern Municipal Water District provides water in a district that is committed to investing in projects that adapt to climate change such as climate resilient water supplies and landscapes, as well as demand reduction programs. Eastern Municipal Water District helps to make the cities they service more eco friendly. WETLAND HABITAT. Natural water and wastewater treatment. In partnership with the U.S. Bureau of Reclamation in the 1990’s Eastern Municipal Water District built a 60-acre constructed wetlands that offers habitat for migratory fowl, shore birds, and raptors along the Pacific Flyway. The wetlands also provide a low-energy, natural way to treat wastewater by naturally removing nitrates and nitrites via bulrush. CITIZENS’ WATER. Water supply and treatment. Eastern Municipal Water District is both a supplier of wholesale water and a wastewater treatment plant. Citizens you live in the district can have a greener lifestyle because of the water services provided for people and businesses. PROCESS CONTROL. Pump optimization software. 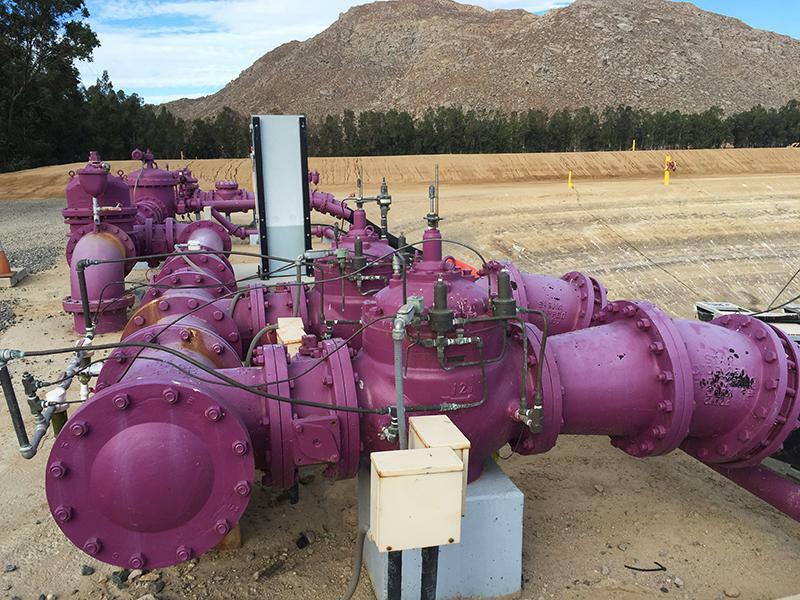 By implementing DeCerto pump scheduling optimization software, Eastern Municipal Water District was able to decrease peak demand charges and improve pump efficiency by 12 percent within EMWD’s Moreno Valley distribution network by running pumps when energy is least expensive. RECYCLED WATER. Freshwater stays in the freshwater circle. Eastern Municipal Water District treats 46 million US gallons of wastewater each day from more than 229,000 sewer connections. EMWD converts that wastewater to tertiary-treated recycled water, which is used for irrigation purposes. The Water Reuse Score is 100. WATER STORAGE. Earthen water storage by means of ponds. Eastern Municipal Water District store water in ponds that amount to more than 5000 acre-feet of ponds. The storage is connected to floating pump stations, inlet and outlet piping and electrical SCADA equipment. In 2016, 700 acre-feet of capacity were added to the storage area. GHG REDUCTION REGISTRY. Promotion of greenhouse gas reductions. Eastern Municipal Water District is a member of the California Climate Change Action Registry, a non-profit public/private partnership that serves as a voluntary greenhouse gas registry intended to promote reduction of GHG emissions. COLLEGE FELLOWSHIP. AmeriCorps program participation. In 2017 and 2018, Eastern Municipal Water District and CivicSpark have teamed together to host two recent college graduates for 11-month fellowships. CivicSpark is a Governor’s Initiative AmeriCorps program that is dedicated toward community resilience issues such as climate change, water resource management and access to opportunities. 100% of treated water is Recycled. The Goal is to be energy neutral. 55% of the energy used is clean energy. 795,000 people who live and work in the service area. 45 millions gallons of wastewater every day.